Race one saw a very competitive start throughout the fleet, a trend which continued all weekend. 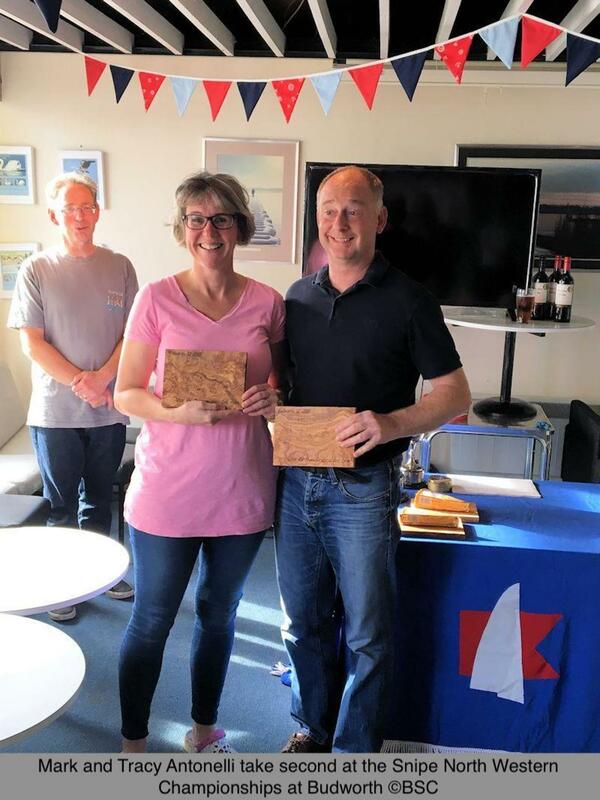 Mark & Tracy Antonelli and James Prestwich & Caroline Carwood managed to get to the front in the first few legs and from then on sailed away from the rest of the fleet to take 1st and 2nd respectively. Peter and Myself managed to come out on top of a very tight tussle with Mark & Tracy up the last beat to take the second race win. Race three was a very hotly contested affair with the lead changing on most legs, Eric Paalman & David Leyland sailed very well to win that one. We were off the water by 4pm that afternoon before meeting for the AGM at 6pm followed by dinner. Huge thank you to the galley team for our meal that evening which was a fantastic three course event. It was also very nice to wake up to a cooked breakfast the next morning. Sundays wind was again a force 2/3 in the morning and like the previous day very blustery and shifty being over the trees from the south. Race 4 began at 10.30 which Peter and I won after being forced out to the left hand side on the first beat, not what we wanted but in the end it worked allowing us to be first to the windward mark from where we managed to hold our lead to the finish. Race 5 was a very tight battle between, Mark & Tracy, Phil & Emma Hackney, Ian Gregory & Mike Kerr and ourselves. The lead changed many times although we managed to win in the end after a lucky gust got us back in contention after dropping behind a bit. We came in for lunch after the mornings racing during which time the wind shifted westerly again and dropped off to a force 1. The Hackney's and Peter & I had a tussle at the front for Race 6. We passed Phil on the first run but he got us back on the second leg and managed to hold onto it till the end as the wind dropped to almost nothing. 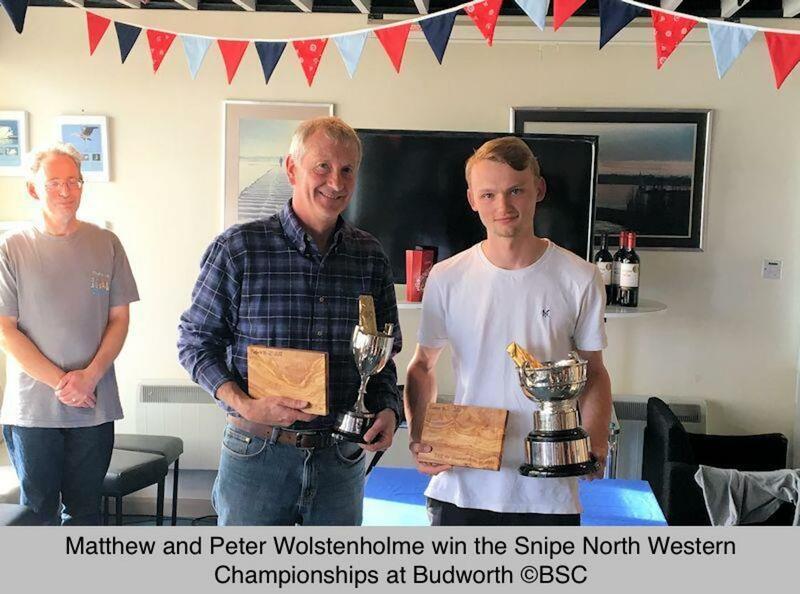 The final results were Peter and myself, from Mark & Tracy followed my Iain and Callum Marshall, Callum did a great job all weekend being only 6 with Mark bidding for his services in the future. 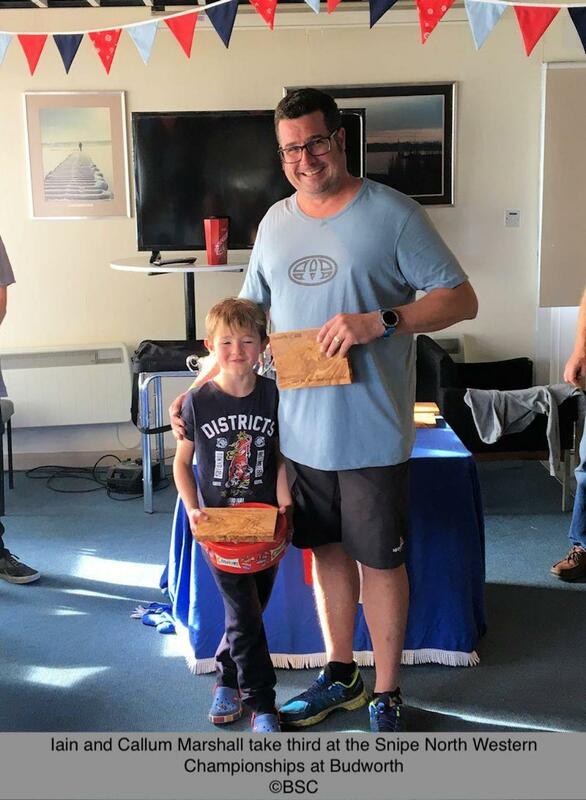 Huge thank you to Budworth SC for hosting and everyone who helped organise the event, the race officers and race team who did a fantastic job in tricky conditions and as mentioned before everyone involved in the galley for the great food all weekend.